When I think of Golf I instantly think of immaculately cut fairways, pristine greens and well kept bunkers. impeccably dressed golfers casually walking up and down after a little white ball. Sinking birdies at every other hole, all while the calmest voice known to man comments on how well they are playing. In reality for us non-golfers, golfing consists of wading through thick grass looking for your ball while shouting a string of profanities after each shot all while other golfers stare and make comments on your less than acceptable dress-sense… Or is that just me? When we think of Golf in gaming Tiger Woods is the one and only name that comes to mind, yes we had Rory McIllroy which was rather lack luster affair. Since then EA has seemingly washed its hands with the golfing franchise, someone needed to step into that role. Golf Club has stepped up and taken it upon themselves to be the leading, if only, golfing title around. Previous outings in the Golf Club franchise were nor here nor there. 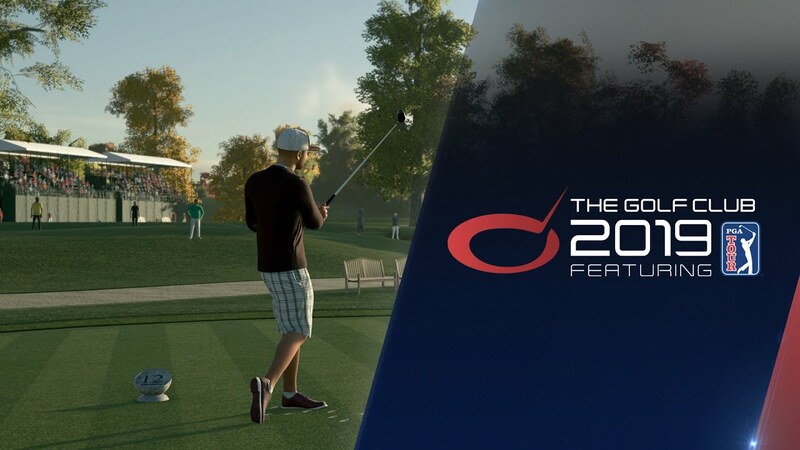 But HB studios endured and with the help of 2K games they have acquired the PGA Tour which makes the Golf Club 2019 bolster its course stock by adding 6 real world courses including TPC Sawgrass ( home of the Players Championship) and TPC Scottsdale ( home of the Phoenix Waste Management Open). These courses are all included in the career mode with fictional courses filling in the blanks. This is still not ideal but its a major step in the right direction. 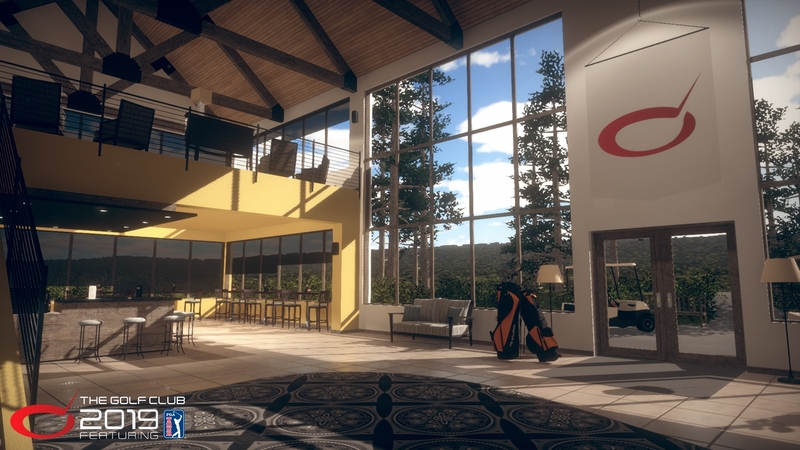 The Golf Club has always strived to be a golfing simulator and not a casual golf game like the EA franchise was. Golf Club 2019 does not falter on that promise! Stepping straight into the career mode I was met with spectacular vistas and sprawling grass and superbly recreated courses! It is a worthy mention that the character creator is immensely deep. I am not even going to try and describe how many customization options the Golf Club 2019 provides. I found myself simply relaxing and letting the cutscenes play between walking to the tee and teeing up etc. The chirping of birds and the wonderful crack of a well-struck shot made we wonder why I never picked up a club in real life! I was however expecting a little bit of player likeness, by no means was I expecting to tee-up with the likes of the new and improved Tiger but some form of likeness would have been nice. Commentary, at times, feels a little out of place during the career but generally I found commentary to be one of the main parts of any golfing title to help me relax, which in The Golf Club is really important when it comes to actually playing golf. The progress system, which sees you play against a rival player on the tour as well as letting you unlock sponsors such as Under Armor feels like enough reason to make you come back and try and improve your score and attributes. It is also good to see that in the multiplayer aspect that your upgraded stats and abilities which you build during the career, does not influence you, creating a level playing field. Finally stepping onto the course, the mechanics of Golf Club 2019 are astounding! This is by far the most challenging and rewarding golfing-sim on the market. Firstly, the swing mechanic relies heavily on swing tempo, which takes some time to get used to. The slightest of hesitations during the transition from back- to forward swing and you will quickly be trudging through the thick and unforgiving roughs. But when you get it all right and you hear the crack and see your ball sailing straight and true down the fairway, that is when you appreciate the 20 shots you shot out of bounds or straight into the bunker. Once you feel a little more comfortable with your shots it becomes extremely satisfying when you hit a rather bad tee shot but, playing from the rough and you create your own shot with varying power and spin and you scramble from there! Truly an amazing feeling. After all of this you might find yourself, if you lucky, on the green. This is where Golf Club 2019 is shoulders and neck above any other golf game. The Golf Club 2019 does not call itself a simulation for no reason. Golf is difficult, and putting is one of the toughest yet most satisfying parts of golf. As player you don’t get given much except undulation of the green. You need to read, decide and judge speeds to keep the ball rolling to where you intend it to go. If that is not enough trying to play the real-world courses will have you languishing in pain after reaching the par 5 green in 3 and still walking away with a double bogey, simply due to the punishing putting system. 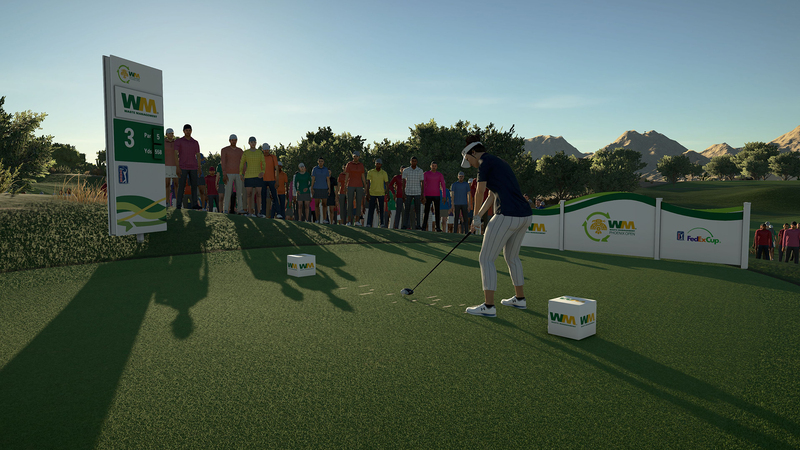 the animations in Golf Club 2019 are really well done, the way your golfers’ knees buckle when you miss that important put, the anger and frustration of a miss-hit tee shot to the fist-pump after a birdie put. The crowd animation as a whole seems like it was stripped from a PS2 -version of Tiger Woods, the crowd claps in unison sometimes not even facing the right direction but these are all minor and can be easily over sited. 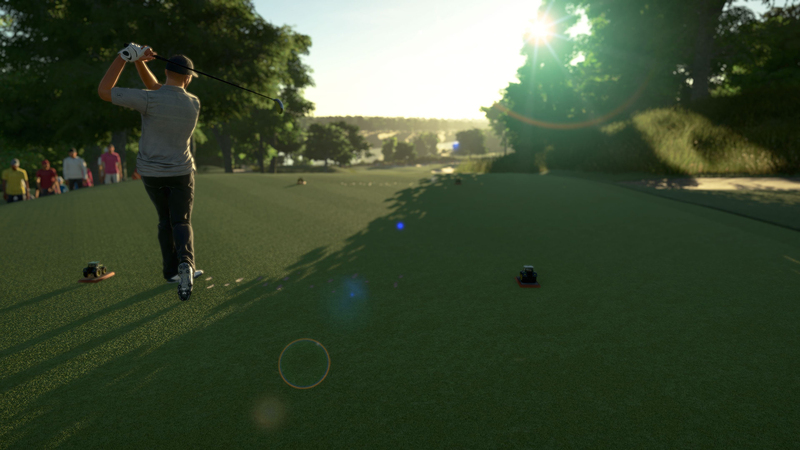 As a whole the Golf Club 2019 is a very solid title and if you as player is willing to invest some time and effort into this title you will be richly awarded with a tremendously good game. 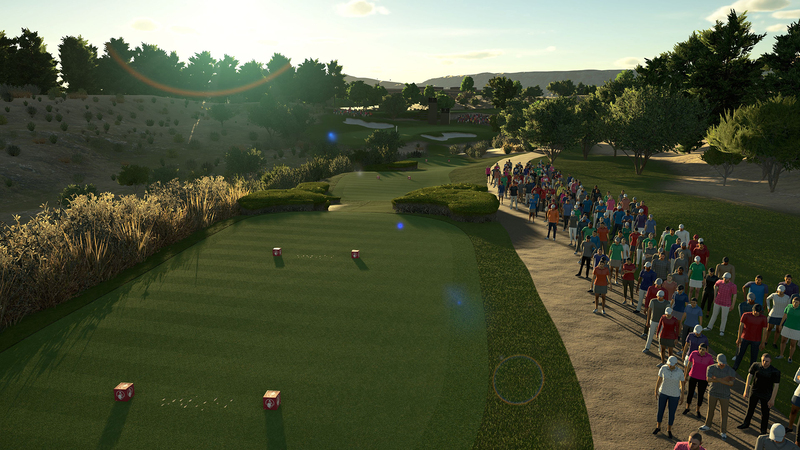 What makes the experience even sweeter is that all your mistakes can easily be chalked up to doing something wrong, that causes you to adapt and improve and once you know your weaknesses and play to your strengths, the Golf Club 2019 will be the most addictive golfing sim you will EVER play!